Hitting The Trails of Adventure! Developed by Nihon Falcom and published by XSEED Games, The Legend of Heroes: Trails of Cold Steel is a turn-based JRPG with a rich story, unique characters, and vibrant world. Does this mean that the game is worth your time and money? Continue reading our review to find out! 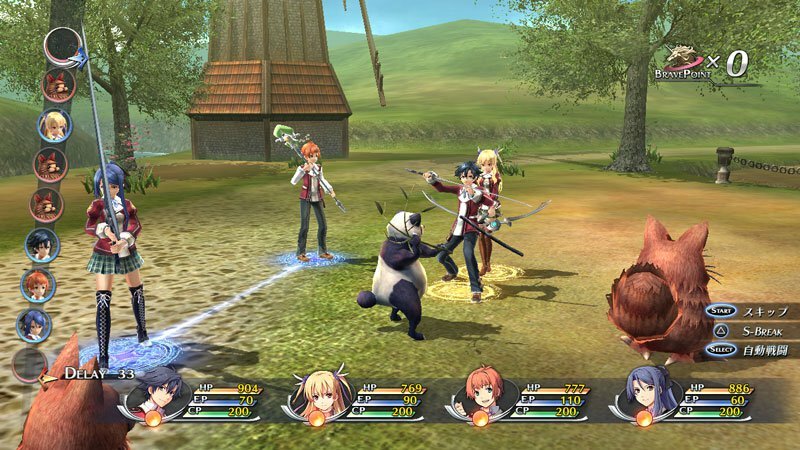 Trails of Cold Steel is a very strategy oriented JRPG that emphasises teamwork between party members via the Arcus system. This allows players to use special skills during battles and activates certain random skills such as cover and counterattack depending on the party members. These skills can be unlocked by bonding with your party members in many various ways. Battles themselves are pretty fun with very unique enemies and bosses. The most awesome feature, however isn't even unlocked until the last 30-60 minutes of the game which is definitely annoying and will make you want to race out and purchase Trails of Cold Steel II. The game features a hodgepodge of mechanics from many classic JRPG's including weapon customization, guild-style quests, turn-based battles, formations, really it feels like it's inspired by the greats of the 90's and early 2000's. The game's story is both its greatest strength and weakness. 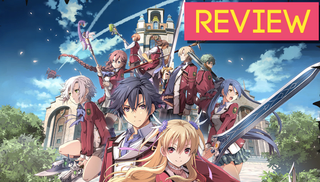 The story is very detailed with alot of backstory and lore and character plots and development are top-notch in the game, but story progression in agonizingly slow to the point that the entire 100+ hours in the first game feels like a mere prologue to the second Trails of Cold Steel. Pacing is important and Nihon Falcom failed stupendously with this game. We're not saying it's a bad game, far from it in-fact, however it is a serious enough issue to negatively affect our overall opinions of the game. The controls are superb as expected and the audio-visual presentation is fantastic in the game! We were hard-pressed to find any songs that we didn't like and the boss theme is at Xenoblade Chronicles level of perfection! The voice acting is somewhat limited and is used mostly during important story scenes and during battles, but what is there is among the best voice acting we've heard from a JRPG in a very longtime! Visually the game looks pretty darn good for a direct port of a Vita title, but don't expect to be blown away. 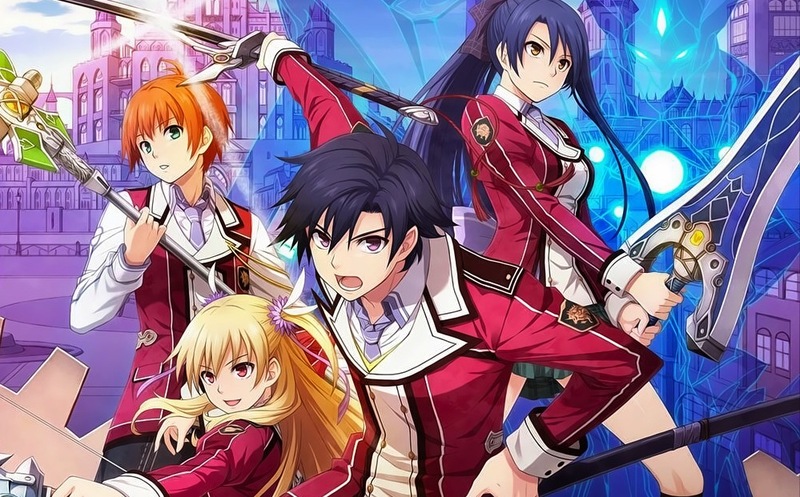 With excellent gameplay full of strategic possibilities, excellent controls and a nearly flawless sound-track The Legend of Heroes: Trails of Cold Steel will draw most fans of the genre in and the superb voice acting will certainly keep them entertained, however extremely poor pacing of the story will likely be offputing to many gamers. If you have the patience Trails of Cold Steel will certainly be a worthwhile 100+ hour experience! It's nice to see that there are some quality JRPGs on PlayStation consoles! Superb review, @Ichigofan! This game is so awesome! Great review! @Ichigofan Excellent review! I might have to grab a copy before retailers stop selling PS3 games. Nice review! I really love The Legend of Heroes series. I fell in love with Trails in The Sky for the PSP and have been a fan of the series ever since lol. I don't typically enjoy rpg's, but The Legend of Heroes series is an exception thanks to its well-written storywriting and addictive gameplay. Good review @Ichigofan! @Ichigofan I see you guys are broadening your horizons and reviewing games for Sony consoles and handhelds as well! Great idea, that might draw more visitors to our site! Great review dude! Nice review. When is the review for ToCS II expected to be finished? Reanfan wrote: @Kain Hopefully soon. @Reanfan @GeekyGamerZack @KingreX32 Something weird is going on with the review format and most of the images are broken and or nonexistent. Great review guys! This sounds like a series I should look into! Excellent review. This series is incredible!